Office365 Archives - VIRTUALIZATION IS LIFE! 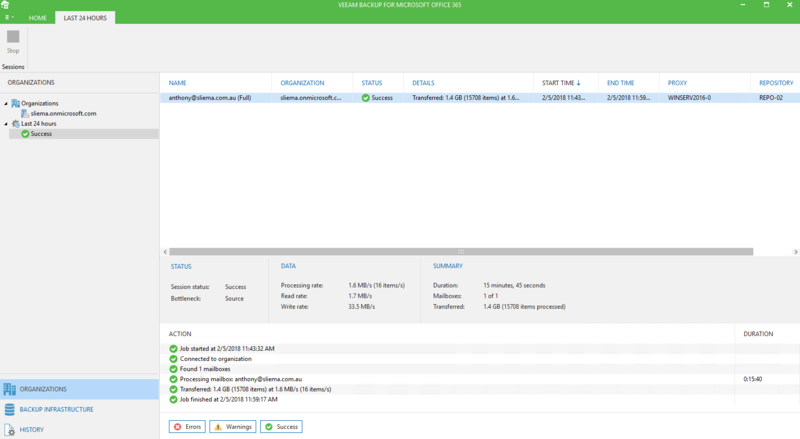 For a while now I’ve talked about the increasing functionality of the the Cloud Connect Gateway and that it is central to a lot of features and services that exist within Veeam Backup & Replication. 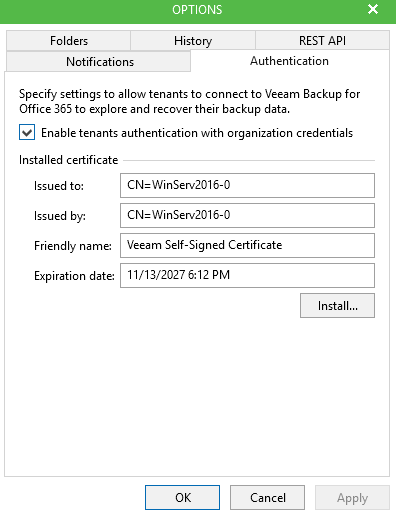 With the release of 9.5 Update 3 we added a feature that allows multi-tenant self service recoverability of a tenants Office365 mailbox backup hosted by Veeam Cloud and Service Providers utilising Veeam Backup for Microsoft Office 365 1.5 that was released late last year. 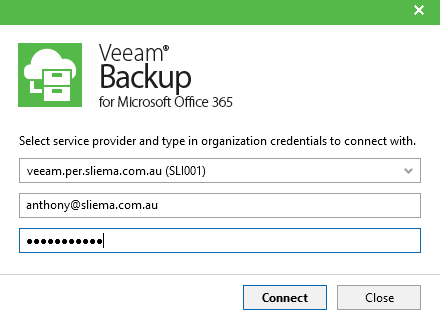 When planning solution components deployment, remember that Veeam Backup for Microsoft Office 365 v1.5 and Veeam Backup & Replication 9.5 Update 3 must be installed on the same server. These days I don’t have access to a local Exchange Server or to a corporate Exchange Online instance but I did migrate my personal domain over to Office365 just before Christmas. That account has only one mailbox, but that’s enough to demonstrate the Office365 Service Provider backup and tenant self service recovery use case. 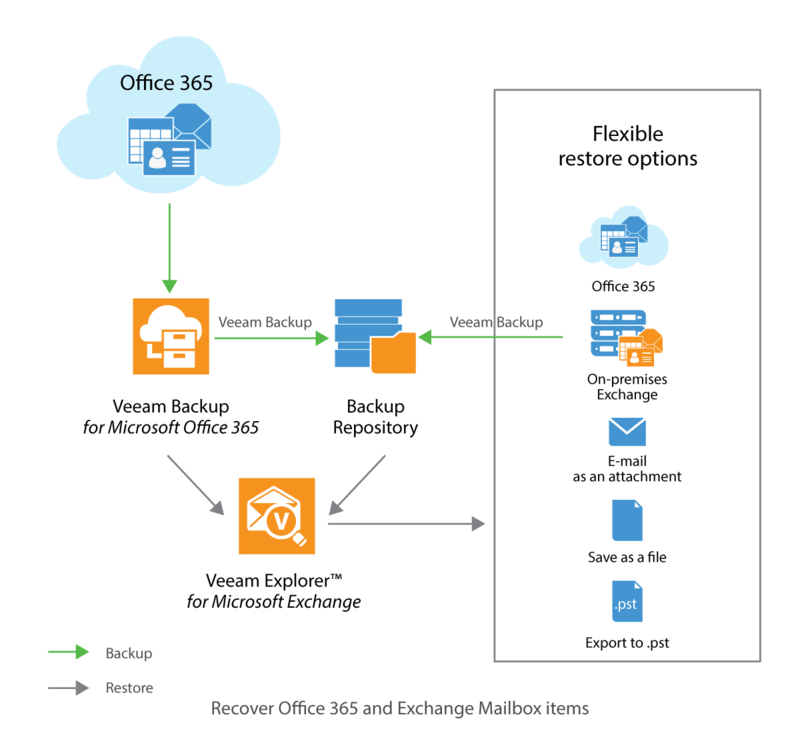 For Service Providers to backup tenants on-premises or Office 365 Exchange mailboxes they need to first configure a new organization in Veeam Backup for Office 365. I’m not going to go through the steps for that as it’s been covered in other posts and is very simple to configure, however to prepare for the self service capability the service provider needs to ensure that the Cloud Connect Gateways are setup and configured and accessible externally. In Backup for Office 365 you have to enable and configure the RestAPI and Authentication Settings under their respective tabs in the Options menu. This includes selecting an SSL certificate for both services…I’m just using a self signed certificate but obviously service providers will want a correctly signed public certificate to productise this feature. With the organization configured I created a new job and backed up the Exchange Organization. Again, for this example I just have the one mailbox but the theory is the same weather it’s one, five, fifty or five thousand mailboxes. 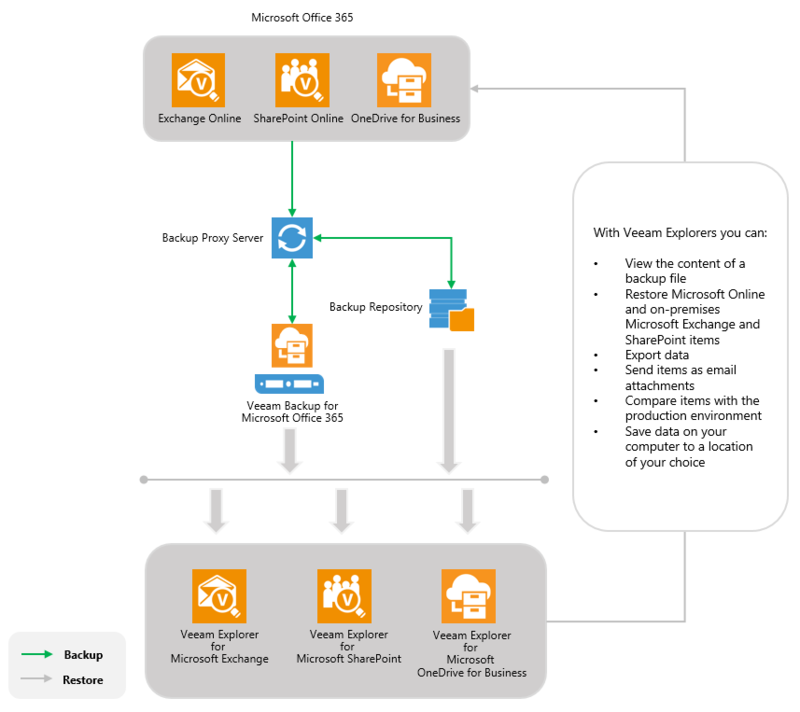 From here, without any self service configured the Service Provider can access the mailboxe(s) to perform whole or granular item level recovery using the Veeam Explorer for Exchange. As shown below I can access any mailbox from the service provider’s end and perform recovery to a number of different locations. 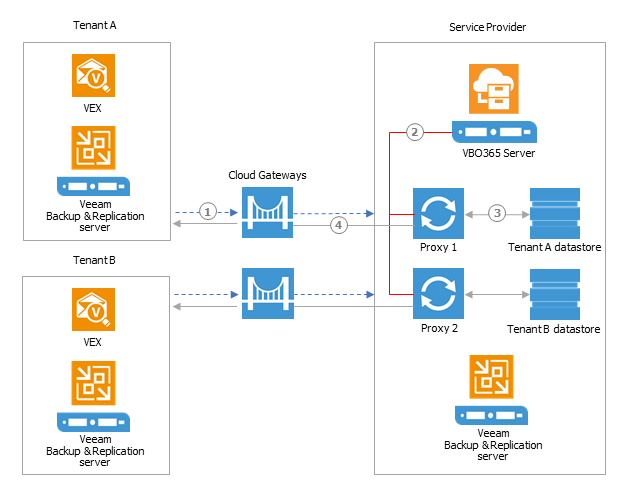 For each tenant (not per Exchange User) there needs to be a Cloud Connect tenant account created on the Backup & Replication server. 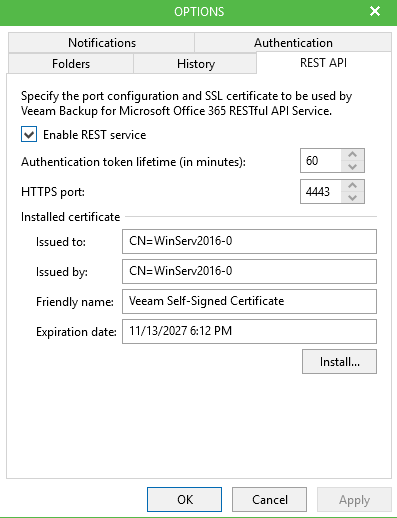 This will be used at the tenant end by the admin to configure a Service Provider in the Backup & Replication console which will then be detected and used by the Veeam Explorer for Exchange to use to connect into the service provider and authenticate with an applicable Exchange account. 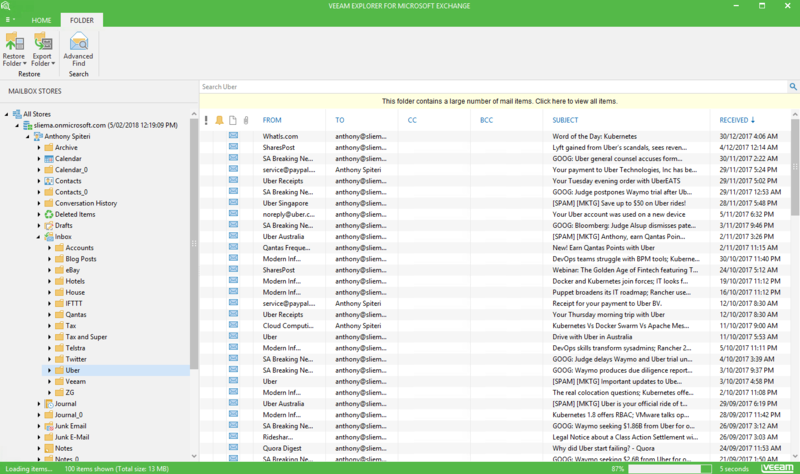 For the tenant admin to use Veeam Explorer for Exchange to perform mailbox recovery you first have to configure a Service Provider using Cloud Connect tenant credentials as provided by the Service Provider. It’s worth mentioning here that you can have no license installed in Backup & Replication and are still able to add a Service Provider to the Backup Infrastructure menu. 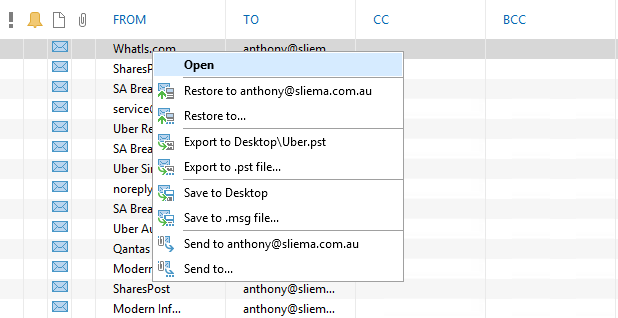 Once connected, firing up the Explorer for Exchange you will use the Service Provider option in the Add Store dropdown. In the drop down list, select the Service Provider account configured in the Backup Infrastructure menu. If multiple exist you will see each one in the drop down. You also configure the username and password that connects to the Exchange Organization. This can be an admin account that is allowed impersonation, or you can enter in an individual account. Once connected (which can take some time with the GUI of the Explorer for Exchange) any mailbox that the account has authorization over will be seen and mailbox recovery can begin. An interesting thing to do is to check what is happening from a network connectivity point of view during this process. While performing a restore you can see open connections from the tenant side to Cloud Connect gateway on port 6180 and also you can see a connection to Office365 on port 443 completing the loop. Back at the Service Provider end in the Backup for Office365 console you can see active Explorer for Exchange sessions as running jobs. Below you can see the local one, plus a remote session. For Service Providers with the capability to automate the setup and provisioning of these services through PowerShell or the RestAPIs here is a great example of what can be achieved with Backup for Office365 and the creation of a self service portal web interface. 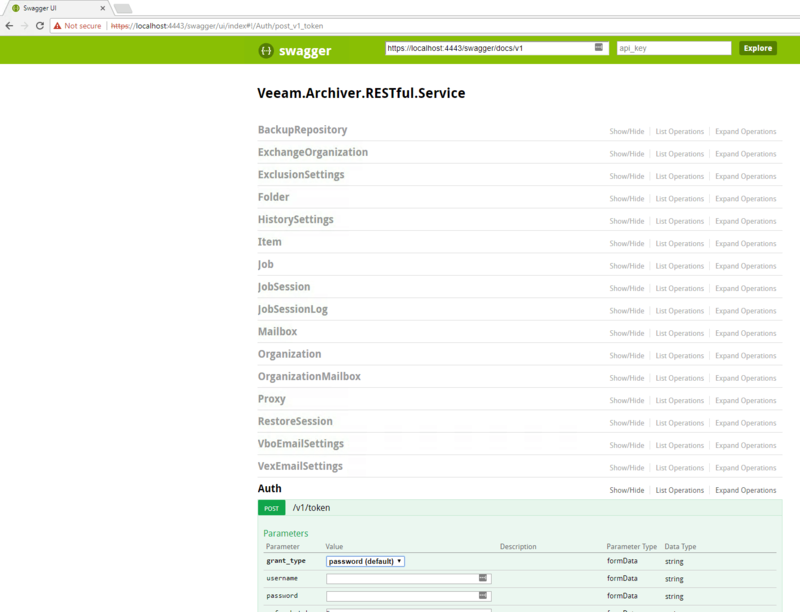 You can use the built in Swagger UI to evaluate the capabilities of RestAPIs. From there you can authenticate and work through the live examples. The market for Office365 backups is significant and we have built in some pretty cool technology into Backup & Replication that works with Backup for Office365 that allows easy, self service capabilities that can be productized by Service Providers out of the box. Not only can Service Providers offer services to backup client Exchange Organisations but they can also extend that to offer self service which increases overall operational efficiencies at the provider end while also offering enhanced services to clients.